Isn't my HRIS Reporting Enough? You need to connect your HRIS to other sources to answer key business questions. Great question - it's one that get asked a lot. 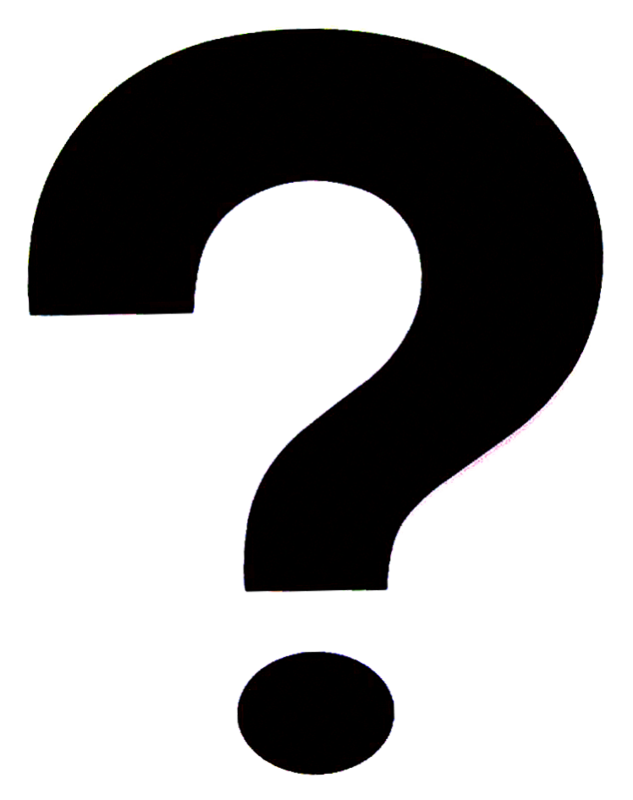 The short answer is no, your HRIS on its own does not provide the insight HR Leaders require. The reason is very simple – these systems only capture a portion of the information required to understand outcomes associated with HR programs and activities. These systems are designed to automate business processes. Analytics is not the core competence of these solutions and, in fact, analytics and reporting are often add-on features. Each system captures its own data. The reality is that any reporting that comes from these systems is disconnected from the rest of the business, and therefore limited in business value. HRIS and Talent systems focus on process information, and, as such they deliver basic, siloed reporting. To measure against objectives and demonstrate value to the business, HR Leaders need more – they need insight that comes from the connection of process and outcomes data. Can your HRIS answer these questions? What is the progression rate for our top performers? What is the ROI of our new manager training program? What is the retention rate of our successors? What is the lost revenue / productivity by position for every fill that is not on target? What is the quality of hire by Line of Business and Job Category? By Recruiting Source? What is the 1st year turnover rate by Line of Business and Job Category? How much is this costing the business? For every 1% reduction in 1st year turnover what is the $$ impact for the business? 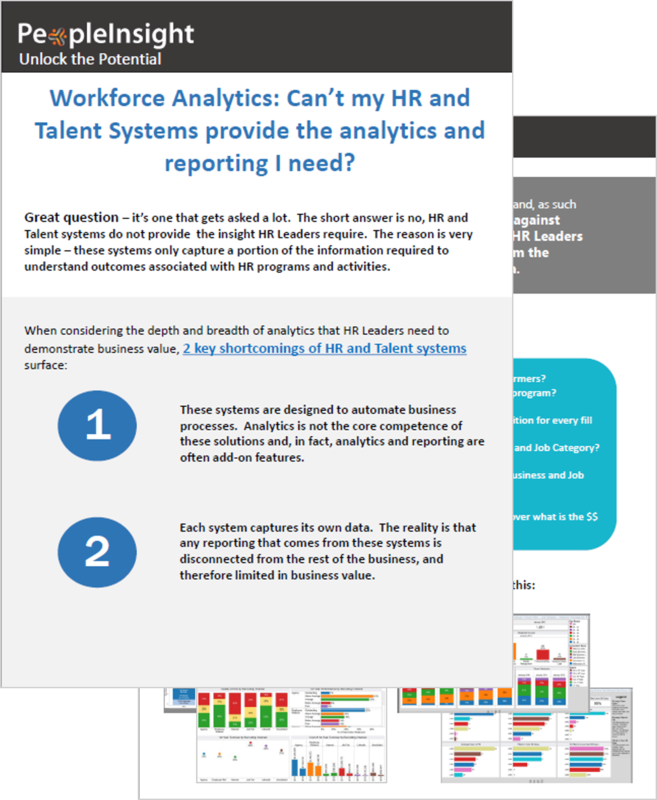 While each individual HR system (HRIS, Talent Mgmt, ATS, Learning, Performance, Surveys, ...) has “reporting/analytics” the reality is that these systems provide basic reports on their silo’d process. These reports may be sufficient for managing the process (efficiency) but they do not provide the analytics that HR Leaders require to make smarter decisions. To get to holistic insight and to measure against business outcomes, you need to connect the dots – there needs to be integration across your disparate HR and Talent systems and those systems that hold business results data. This means stretching beyond the transactional HR data and systems and making connections with outcome sources. 2. 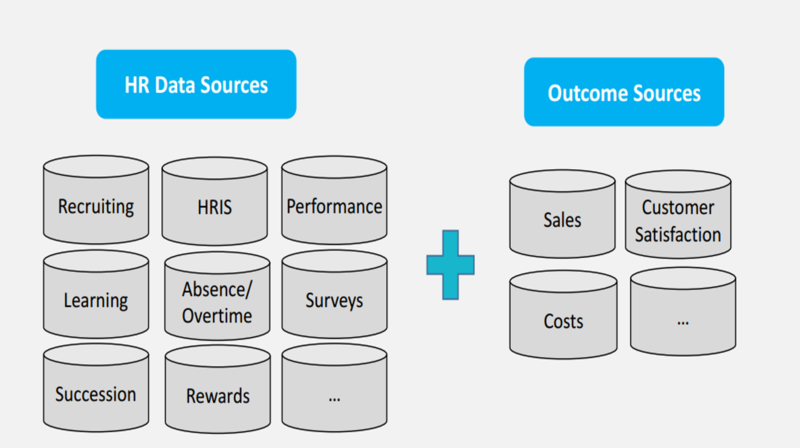 Connecting HR Data to Business Outcomes (Results) Data. When you’re ready to experience what’s possible in reporting and analytics when your data is connected, get in touch. We can help.